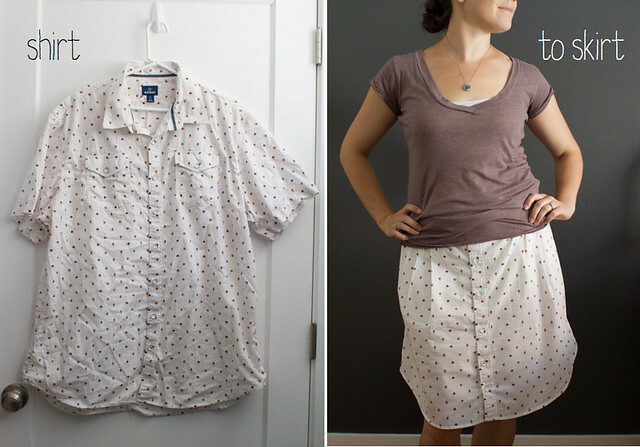 as part of a recent goal to sew more quick and satisfying garments for myself, i decided to make a skirt like this one, where you just chop a men’s shirt under the armpits, do some pleating, add a waistband and some elastic to the back, and boom. i think this took me about a half hour to make. it started as a sale rack men’s shirt from old navy. it has a funny little southwestern print on it (southwestern is still kinda hot right now, right?). i went with a flat front waistband and added interfacing for structure. then i just pleated the body of the front of the shirt until it fit. my goal was not to add too much bulk in front; just some subtle detail and shape. the back has elastic for comfiness. the shirt tail hem just makes it look like i’m wearing a shirt on my bottom half, but i like it. 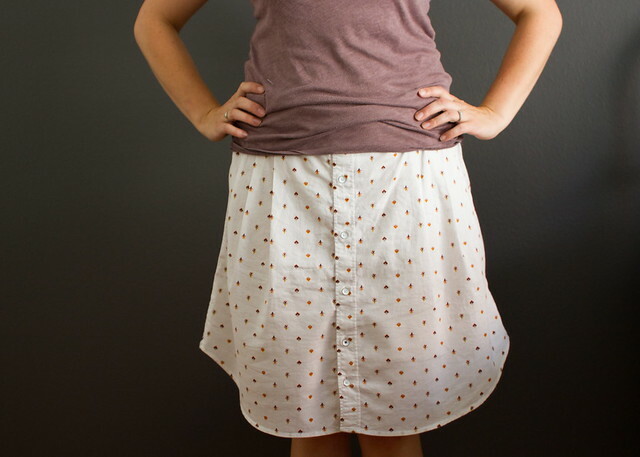 i wish i’d taken the time to add pockets, but i was being too impatient and just wanted it done. you better not be judging the white after labor day!! this darn thing was sewn and photographed in august, but i’m way behind on blogging finished projects and am trying to catch up a bit. PPS – HAPPY BIRTHDAY, ANDEE!! !